The SIPA | NIBA and SIPA join forces! 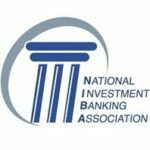 National Investment Banking Association (NIBA) and The Securities Industry Professional Association (SIPA) have agreed to join forces to work on behalf of small broker dealers and Registered Representatives to advance more thoughtful regulation that advances business and capital formation while protecting investors in a more efficient manner. Recently SIPA and NIBA were proud to support Paige Pierce for the FINRA Board of Governors, in part due to her tireless work to gain relief from the costs associated with PCAOB audits on small firms. While we are excited she was elected to the Board, we are even more excited that she was critical to getting this bill pushed toward the finish line. We have some important news to share! BUT TODAY WAS A WIN FOR SMALL FIRMS! WHAT AN AMAZING COMMUNITY WE HAVE! TOGETHER WE GET THIS DONE! Thank you for your support and to Paige Pierce for leading these efforts! also a special Thank You note today to the four Democrats who stood with us yesterday, Majority and minority’s staff (Fritz and Bruce), as well as Gonzalez, his staff and French’s staff. Everyone worked their tales off in anticipation of this vote. National Investment Banking Association (NIBA) and The Securities Industry Professional Association (SIPA) invite FINRA Broker Dealers, Registered Reps, Private Equity Companies, RIAs, Funding Sources, and Private and Public Companies seeking capital for growth or looking for exposure in the investment community to attend National Investment Banking Association’s (NIBA) 145th Investment Conference to be held on Oct. 31 – Nov. 1, 2018 in New York at the Crowne Plaza Times Square Hotel.